How can I have a large 3D printed object? I have a concept that's roughly 18"x30" (about 457x762 mm), and I just realized that the Makerbot and similar printers only allow dimensions around the size of a piece of paper. What are other options? Are there large 3D printers I just don't know about? I looked up TMC injection mold, but couldn't find anything on size (most links go to PDFs with printer images). Is injection even in the same "world" as 3D..? Sorry for confusing the two. As Trish states, a print service would appear to be your best bet. Building a printer large enough may work out costing more than the print service, especially if it is only for one print of a proof of concept. However, the print service was not cheap at all. In May 2017, I was quoted 68000-100000 baht (~£1360-2000) for some printed parts (the proteins) for a Wilson II 3D printer, which are about only £70 on eBay! However, it is worth taking into consideration that, at the moment, Thailand is very expensive for 3D printing in general, as it is relatively new there, and so prices for both printers and print services are high. I do not know about your project, but the size of the final object. Just design smaller parts and glue them together. 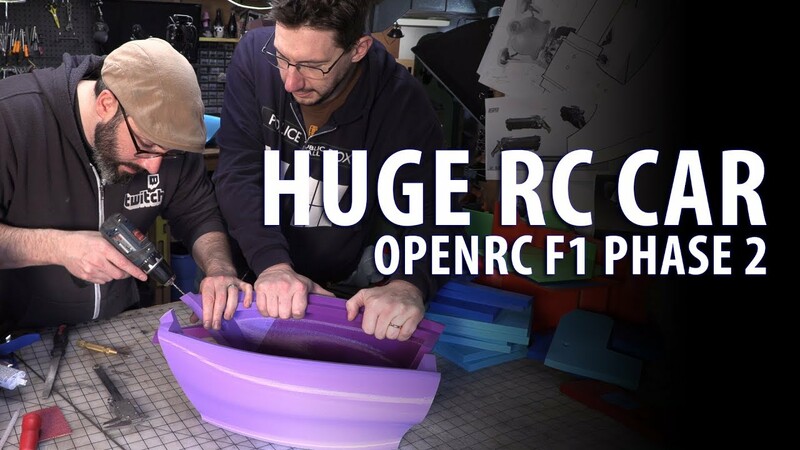 Take a look on this video, where Joel Telling glues OpenRC Formula parts. 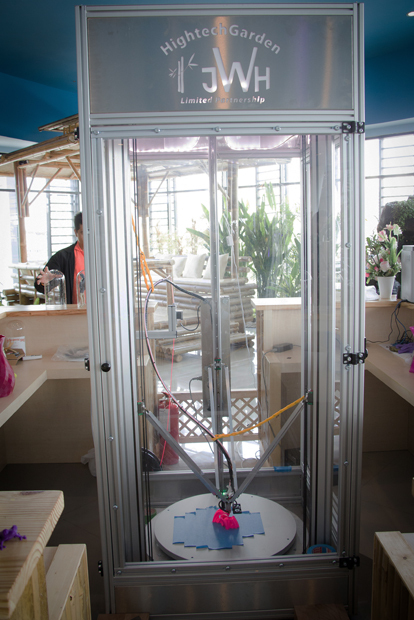 Interesting concept is Hangprinter where volume size depends on your room size. It's a RepRap so you have to build it yourself. Components price should be around 500$. If you have higher budget and you need just one, two prints, then you can use 3d printing services like 3dhubs. Such services use large printers. See a list on all3dp.com. 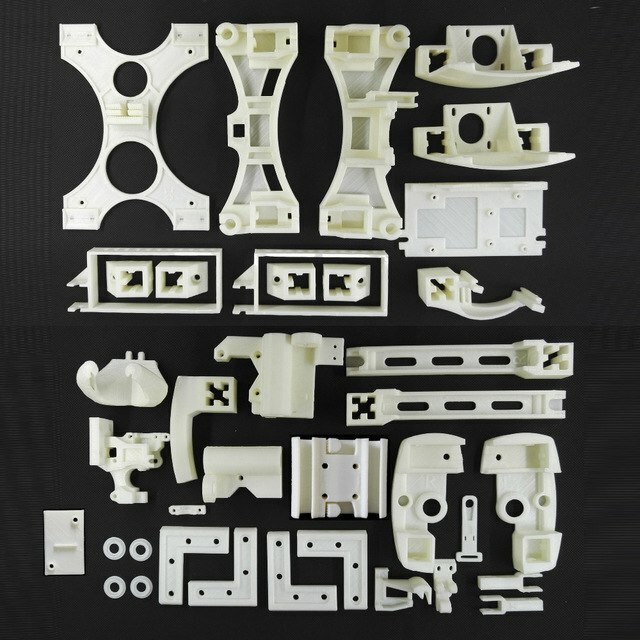 So long as you are not dealing with MortonThiokol issues, there is a simple tradeoff: high-cost printer vs. breaking down your design into smaller parts with assembly features. Many designers publish designs which snap-fit together; others suggest glue; still others go the safe route of providing clearance holes and requiring metal nuts&bolts to assemble. In sum - if you can deal with separate parts, you can print everything on a standard bed size. First of all, 3D printers on FDM basis can become quite large, if you pay extra. And the price goes up really fast as the dimensions grow because the demands on stability grow exponentially. Well, there are printers like the gCreate gMax 1.5 XT+ (406x406x533 mm) for a mere 3000\$. That's enough, isn't it? Well, we can even go bigger: 610x610x610 mm for a mere 3500\$ on the Modix Big 60. Still not satisfied? Industrial machines can go even larger! A BigRep Studio for the little price of 50000\$ could achieve 500x1000x500 mm. That is a little overkill, isn't it? Well, the first thing you need to remember when 3D printing is: unless you make a functional part that has to have certain dimensions, feel free to scale it down if it is just for visuals. Then, you can assemble prints. Like, take a smaller printer and print the object in halves or quarters. Then glue it back together. You don't want or can't assemble the part? Well, there are printing services out there that have these larger scale printers I mentioned (or at least similar ones) that offer to make your parts for you and then ship them to you. Usually, that is much more cost effective than buying one of these ginormous printers yourself. Not the answer you're looking for? Browse other questions tagged print-quality 3d-design cad or ask your own question. Which properties of real organs do 3D printed organs have? How to 3D Print 5-pointed star object that doesn't have flat bottom and hole in the middle? Can the `render` function be used to speed up rendering? How could I print a large sphere-like object? How to print a voxel object?